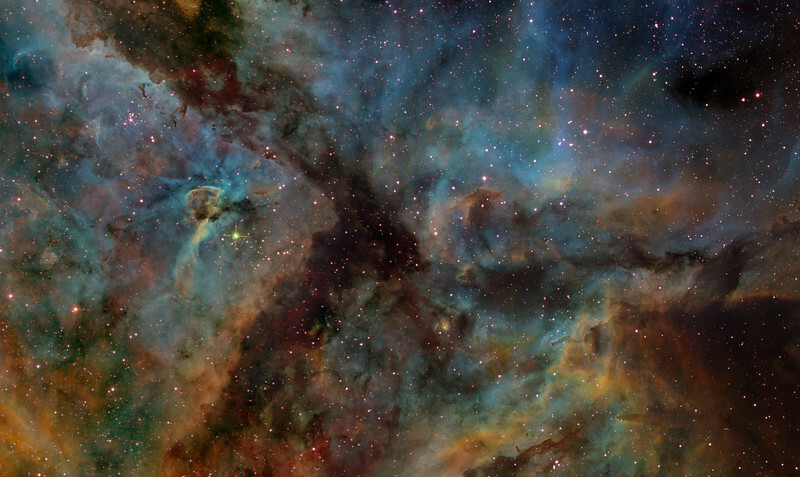 Eta Carinae and the Southern Pillars. North is left. Field 36'arc high. Red SII, Green H-alpha, Blue OIII. Left half 6.5 hrs each channel, Right half 2hrs each channel, all in 1hr subs. Aspen 16M on 20" PlaneWave CDK.